Thank you a million times over for all the work completed over the last four days! 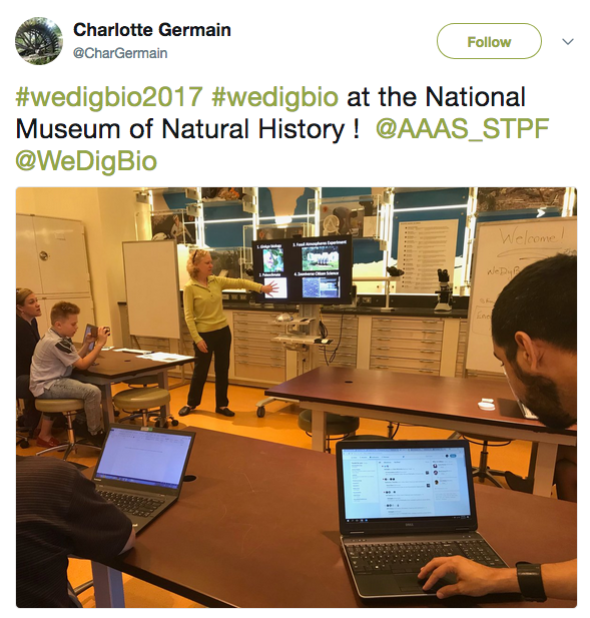 There's still time to get in a few last transcriptions before the official end of WeDigBio 2017 (and I encourage you to do so! ), so I'm going to save the lengthy, mushy thank you for tomorrow. For a bit of motivation in this home stretch, here are some highlights from today's events. 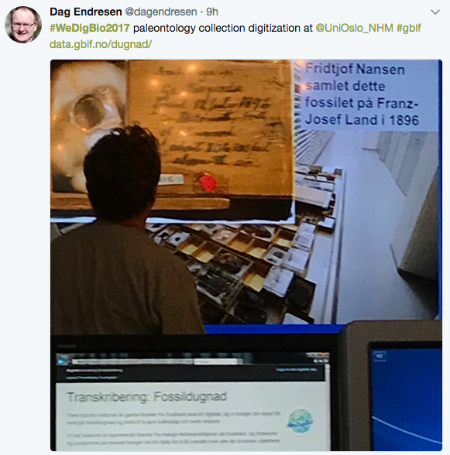 While I don't speak Norwegian, I do speak "Figures", and it looks like our new WeDigBio friends at the Oslo Natural History Museum had a fun and very successful day! Events in the US included research talks, beautiful specimens, and smiling faces at the New York Botanical Garden, Botanical Research Institute of Texas, Smithsonian Institution (below left top), The Field Museum (below right top), University of Iowa Museum of Natural History (below left bottom), and Oregon State University (below right bottom). 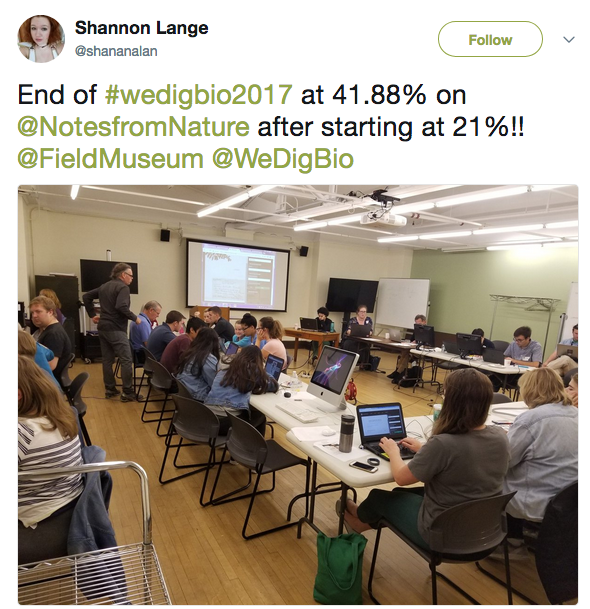 The twitter buzz, Notes from Nature Stats, WeDigBio Dashboard, and updates from various projects all point to A TON of work being completed over the last four days. Thank you, thank you, thank you hosts, participants and supporters! 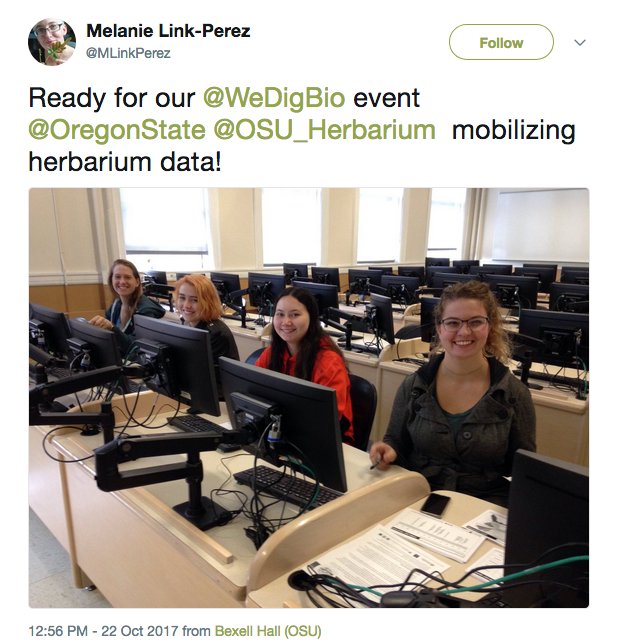 There's one last WeDigBio event tomorrow and we at WeDigBio will continue to be in touch with event tallies, updates, and ways to continue your involvement. 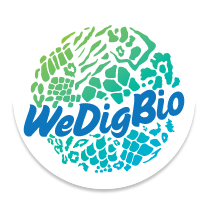 Now, let's turn to our favorite transcription platform, and give them some home stretch, WeDigBio transcription love. And if you need a bit more motivation, consider the screenshot of a specimen collection locality below. 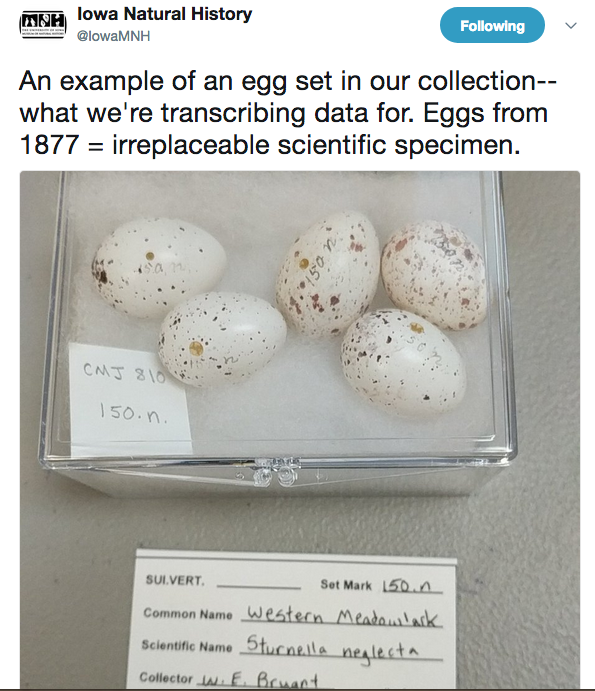 With gems like this out there, I can think of no better incentive to mobilize biodiversity data ;) (Thanks, Siobhan, for sharing).